Are you a store owner? If so, then you probably know that you must make it accessible for people with disabilities as well. By doing so, you will avoid discrimination and your customers will certainly appreciate it. In case you haven’t done this yet, here is how to make your store accessible to people with disabilities. You must definitely make a special toilet for people with disabilities, due to the fact that they won’t be able to use a regular one. A toilet like that should have enough space for people in a wheelchair, to maneuver it inside. The toilet sign should be very visible, and the doors must be the sliding type. Furthermore, you will need to install a non-slippery floor, and a big mirror placed closer to the ground so that people who are in a wheelchair can reach it. It is also very important that you provide an emergency call button, in case something happens and the person needs help. Do not forget about flip-up grab bars, which are extremely important, and there must be a knee space under the basin as well. All these aspects are extremely important, in order to offer your customers the comfort they need. It is important that your shop has wide doors, in order to offer an easy access to persons who deal with physical problems and use a mobility scooter. With a machine like this you obviously can’t go down the stairs, so you should also think of making a special ramp in order to meet their needs. Your shop should also have enough space for them to easily move around with a device like that. When considering the size of the store pathways, check out the sizes of different mobility scooters. Don’t base your choice solely on one model, as you might be looking at a compact, portable mobility scooter. Normal scooters can be a lot wider and require more space to maneuver than a small, portable mobility scooter, so keep this thing in mind when making changes in your shop. Special ramps are also required outdoors, so in case in front of your shop are steps, then you must certainly make a ramp as well. In case the store has more than one level, you definitely must install a stair lift. 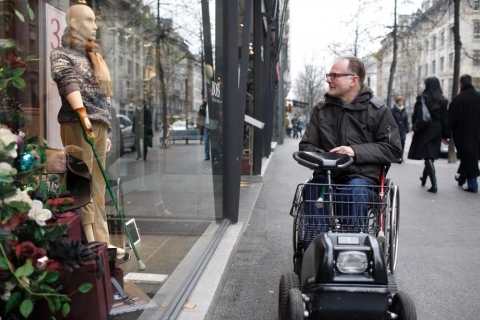 By doing so, you will offer an easy access to the ones that deal with impaired mobility. They will find it easier to get to the second level or the third, and so on. We all know that lots of people who are in this situation, still want to be independent, and therefore, all the public places must be accessible for them as well. Stair lifts can be installed on any types of staircases, and of course, the price of the stair lift depends on the shape and the size of the staircase. You can learn more about the features of stair lifts, by reading some stair lift reviews on the beststairlift.reviews website. You must have a non-slippery floor so that people who use a wheelchair can easily move in the shop. This is also very important for blind people who are more prone to fall and hurt themselves because of a slippery floor. 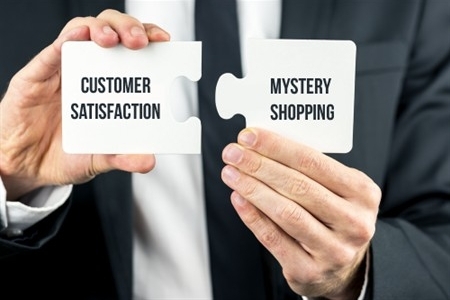 How Will A Mystery Shopper Campaign Help My Store? Do you really need a commercial property management software? Business relocation: are you ready to face the challenges?